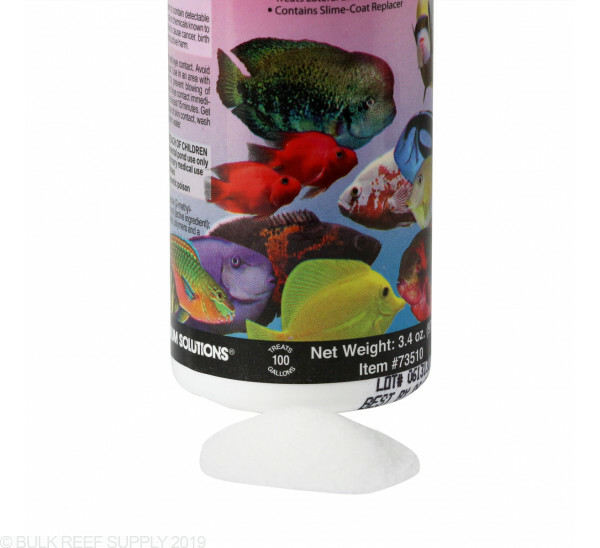 Treat lateral line and hole-in-the-head diseases in your reef tank. Targets infected areas safely and includes a skin-slime replacement to speed up recovery. As a bath treatment for external metronidazole-susceptible, microbial diseases of marine and freshwater aquarium and pond fishes (e.g. hole-in-the-head and lateral line). Use 1 capful (~9.7g) per 10 gallons of water. A partial or complete water change should be made just prior to beginning treatment and every 24 hours thereafter, followed by re-treatment. 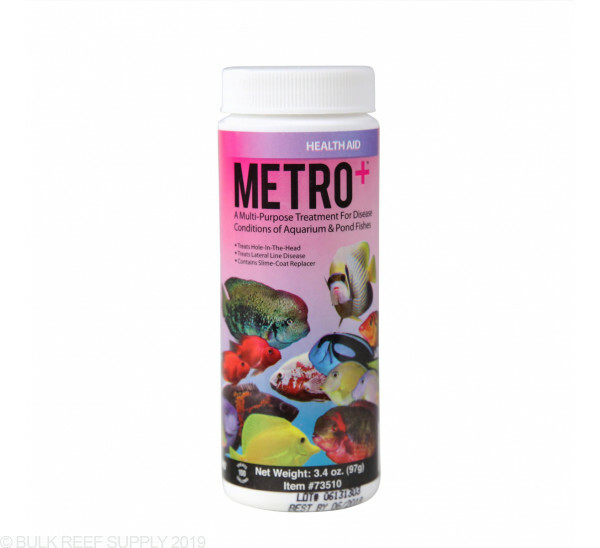 Any water used should first be conditioned with ULTIMATE or a combination of Liquid Buffered ClorAm-X and Stress-X to remove ammonia, chlorine and chloramines. Repeat the treatment every 24 hours for 5 to 7 days or until mortalities cease or healing of lesions occurs. If improvement is not noted within three (3) days, discontinue treatment and consider other therapy. 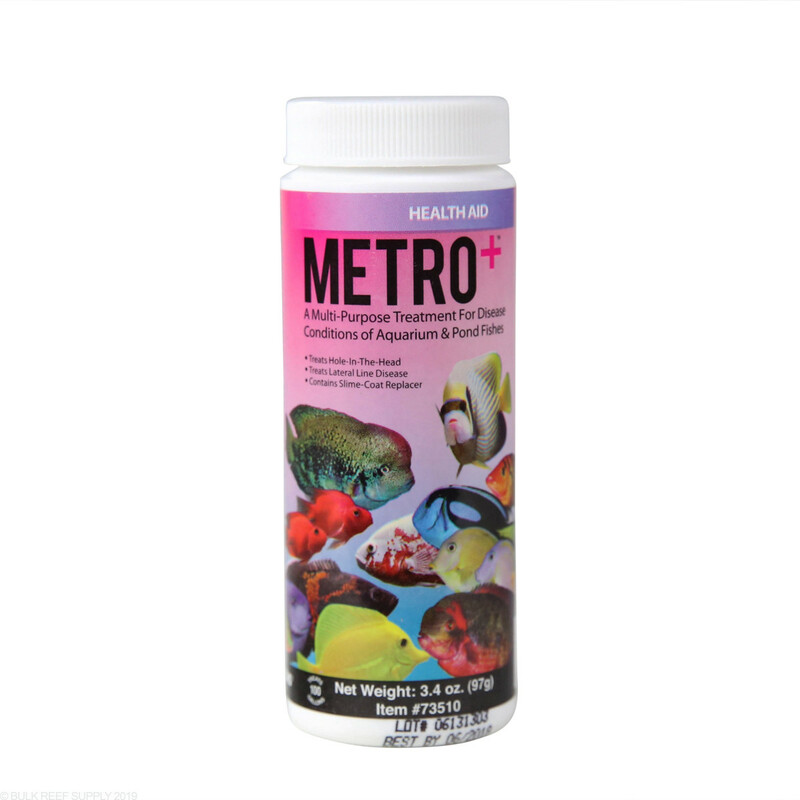 Oral Treatment For Fish: For systemic (internal) infections, Metro+ can be fed mixed with fish food. Metronidazole (2-methyl-5-nitroimidazole-1-ethanol) (active ingredient); sodium chloride, synthetic polymers and a chelating agent.